Hi dear ladies. Today I have a card for mother. The new collection is so inspirational.. I have never done cards for mom.. I don’t know why.. but now.. I already have done 3 cards! 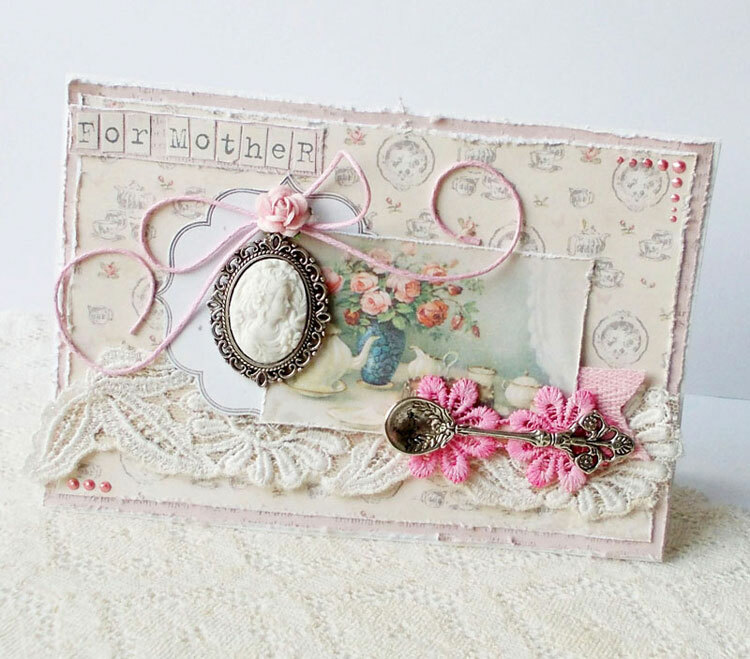 It is my small record 🙂 For card I used paper from new collection For Mother, vintage lace, camea, rose and a small spoon.